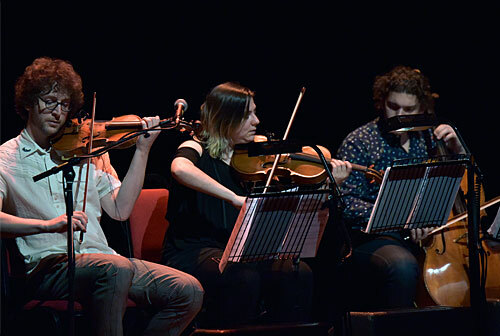 At tonight’s show in the acoustically wonderful Liverpool Philharmonic I hoped against hope that he and the yMusic orchestral sextet would perform a version of the song. But No. 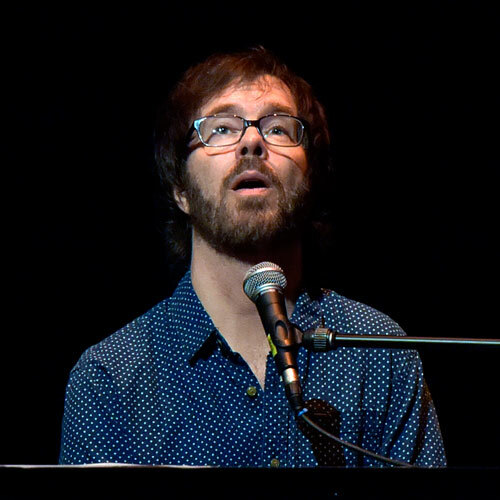 Instead we heard several other Ben Folds 5 classics including that damned “Army” (which of course I also like a lot). 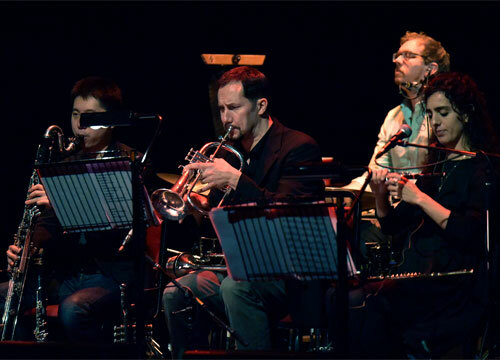 Playing with Folds is the USA hybrid orchestral sextet yMusic. yMusic is a group of six New York City instrumentalists flourishing in the overlap between the pop and classical worlds. 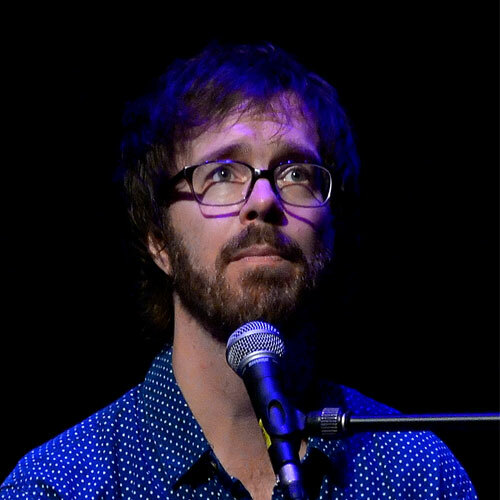 Their virtuosic execution and unique configuration (string trio, flute, clarinet, and trumpet) has attracted the attention of high profile collaborators — from Ben Folds to Dirty Projectors to Jose Gonzalez — and more recently inspired an expanding repertoire of original works by some of today’s foremost composers. In 2014, yMusic released Balance Problems, the much-anticipated follow-up to 2011’s Beautiful Mechanical (Time Out New York’s #1 Classical Record of the Year). The record features stunning new compositions from Nico Muhly, Sufjan Stevens, Andrew Norman, Mark Dancigers, Jeremy Turner, Marcos Balter, and Timo Andres, all realised through the ensemble’s striking performances. Since their inception in 2008, yMusic has striven to bring a classical chamber music aesthetic to venues outside the traditional concert hall. 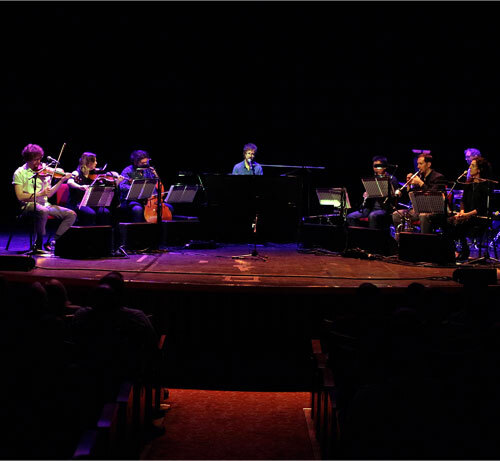 Its members have individually toured and recorded with artists such as Bon Iver, Paul Simon, Bjork, The National, Meredith Monk, Antony & the Johnsons, David Byrne, The New York Philharmonic and Sufjan Stevens. The stage was set with all musicians placed in a V-form shape with Folds’ piano located behind a large black board at the sharp point of the V - the furthest point away from the audience. A drummer was hidden from view, behind the other musicians. 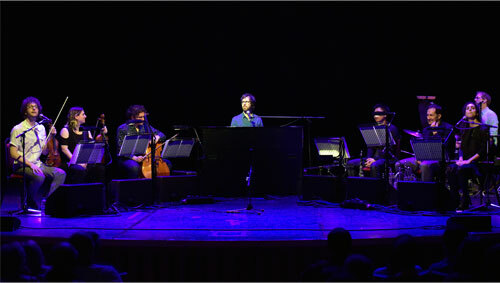 yMusic opened the show with their own composition and teh title track from their 20111 album, “Beautiful Mechanical”. It certainly set the scene with strong melody and music that ebbed and flowed with some dramatic crescendos. Folds then appeared and settled at his piano to play the first example of this rather clever pop/chamber orchestra collaboration. “So There” is the album’s title track which behind the sublime orchestration and instrumental performance kept that distinctive Folds trademark sound. Folds with that recogniseable, youthful voice melded perfectly with the assembled musicians as several songs from the collaborative album were played. 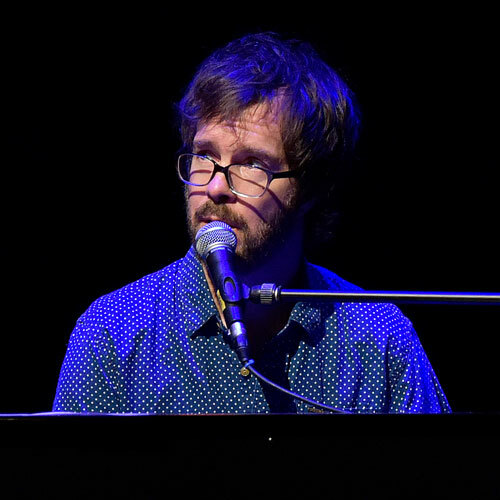 “Phone In A Pool” was my favourite from the new album but Folds and friends played some lovely versions of Ben Folds 5 songs including a superb version of “Mess” which he claimed had been covered many times by Johnny Cash. There can be few better frontmen than Folds who throughout made witty observations and interplayed well with his young and very skilled musicians (who also provided some quality backing vocals). The show was beyond reproach save for one minor aspect: Folds was logistically too far away from his audience and two-thirds hidden (see images). The enthusiastic acclaim from the sell-out audience really said it all - a great and very distinctive show from one of pop’s finest exponents.